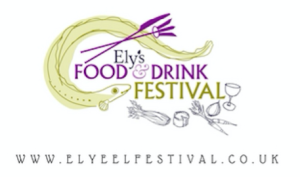 We’re kicking off our events this year at the fabulous & FREE Ely Food Festival. 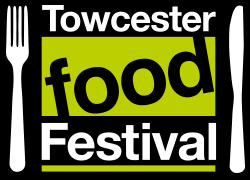 With plenty of chef demos, lots of artisan food producers and loads for the kids to do as well. Set in the stunning grounds of Ely Cathedral, it is a great event & definitely one of our favourites! We’re also launching some really exciting NEW PRODUCTS at this show, so come one down & see what our Chief Spiceologist has been up to for the past couple of months! Representing the very best independent food & drink produce in Northamptonshire & the surrounding counties, Althorp Food Festival is a wonderful event set in a unique location. With more than 80 exhibitors, cookery classes from local chefs, animal displays, activities for the children & much more, make sure you get here early to leave time to enjoy the stately house & views over 550 acres of stunning Northamptonshire countryside. We’re back at the fabulous Southport Food & Drink Festival for another year. It’s a busy event covering 3 days with lots of chef demos, music, more than 130 artisan food producers & live entertainment going on throughout the day. We’re also launching some really exciting NEW PRODUCTS at this show, so come along & see what our Chief Spiceologist has been up to for the past couple of months! The BBC Good Food Show Show has the UK’s greatest chefs and experts, plenty of shopping & inspiration, exciting live entertainment in a unique Supertheatre & numerous stages across the Show. Twinned with the Gardener’s World event, there’s plenty to see, sample & taste. Discover the widest variety of food, drink, kitchen & gardening products from hundreds of exhibitors, from great brands to a vast range of independent producers. As the largest village show in the country, nothing quite matches Heckington Show for the relaxed way that it combines the intimacy of a village show with the scale of a real country show. With the full range of country show events, outdoor arenas, craft areas, flower & veg growing competitions, dogs, livestock &, of course, plenty of food to sample & buy, Heckington Show is a great family day out, a quintessentially English Summer occasion for families and friends to enjoy.